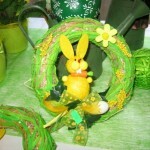 Easter wreaths create a festive atmosphere. 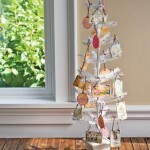 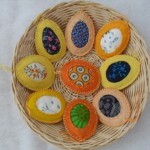 Making of this simple home decorations will take you a little time, but the result will bring a lot of joy and warmth. 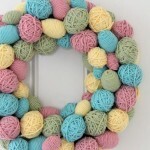 For an Easter wreath you will need a circle for floristry, fluffy yarn for knitting and lace in the shape of flowers. 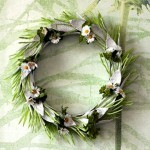 Glue each flower with superglue.